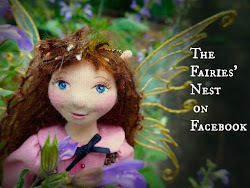 The Fairies Nest - OOAK Cloth Dolls & Fiber Fantasies: Catching up! Wow I have so much to cover today! 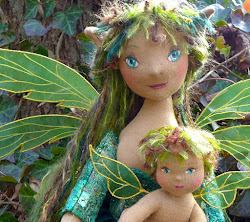 I have been incredibly busy with commissions...never a bad thing!...and I've let some stuff pile up here. So let's see if I can get a little caught up! I like that! Thanks so much Teaching Handwork! 1. I'm named after Cinderella...yes really! 2. I don't eat mammals but it really doesn't bother me if other people do. 3. On the subject of food,since reading Barbara Kingsolver's marvelous book "Animal, Vegetable, Miracle", I've really gotten into eating as locally as possible. We grow a garden, belong to 2 CSAs (community sponsored agriculture) with local farmers, and are weekly visitors to the nearby farmers market. I even trade dolls for food! 4. I'm a country girl at heart but I feel totally in love with Paris and felt more at home there then I have ever felt in a city...including the one I live in now. 5. I've recently become a huge fan of cello music...and if you want to hear something really cool listen to the bluegrass band Crooked Still . Cello and bluegrass , who would have thought it! 6. I'm terribly shy! I'm good at hiding it, but art shows where I have to stand there and sell my wares are torture for me. 7. I don't ever pass on tags...it goes along with my incredible shyness so I am always the weak link in these things! Well.....now I know a little about you! We have a fair bit in common - I'm shy too, but married to an extreme extrovert, so some of that has rubbed off! (I think blogging was invented for us shy types!) We also grow as much food as we can and shop local - this is becoming increasingly important, I think. I play oboe in a community orchestra, so I get to hear 'cellos a lot - you're right It is a beautiful sound. i love the link,thanks for sharing! and Paris...i fell in love at age 8! Also shy. Also love Paris. Also love cello. Blogging is easy, but self-promoting is very hard! I'm about to do my very first doll show and I sincerely hope that it is not torture! Yikes. 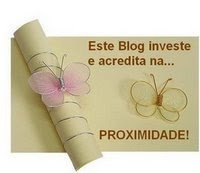 It's good to get to know you better through blogging! 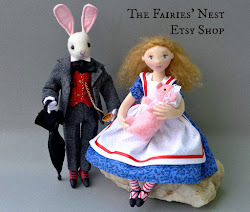 Just found your blog - love your dolls, they are stunning! Fantastic work.